José de Ribera was born in Játiva (Valencia) in 1591 but lived and worked in Parma, Rome and Naples, where he developed a style based on that of Caravaggio. It was during his time in Parma, Rome and his early years in Naples that Ribera studied and rethought the language of naturalism. The exhibition focuses on this period, in which Ribera’s work passed through different stylistic phases and made use of a wide range of subjects, resulting in a profound interaction of style and iconography. During his time in Rome, Ribera deployed a precise descriptive manner and a use of chiaroscuro to offer innovative depictions of traditional subjects such as the Five Senses, the Apostles, and figures of Philosophers. 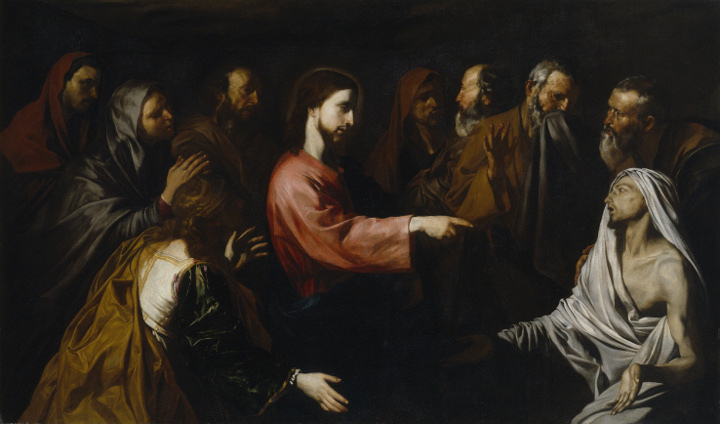 In Naples, he made use of the same artistic resources to imbue his devotional subjects with a unique sense of intensity, rigour and drama. The exhibition is organised into different sections that group together related works or focus on specific periods during Ribera’s time in Rome and his early years in Naples. 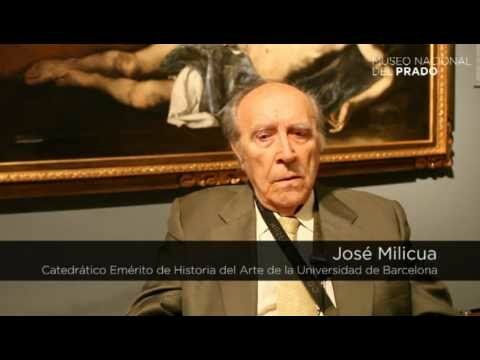 The first section of the exhibition is entitled “José de Ribera versus the Master of the Judgment of Solomon”. 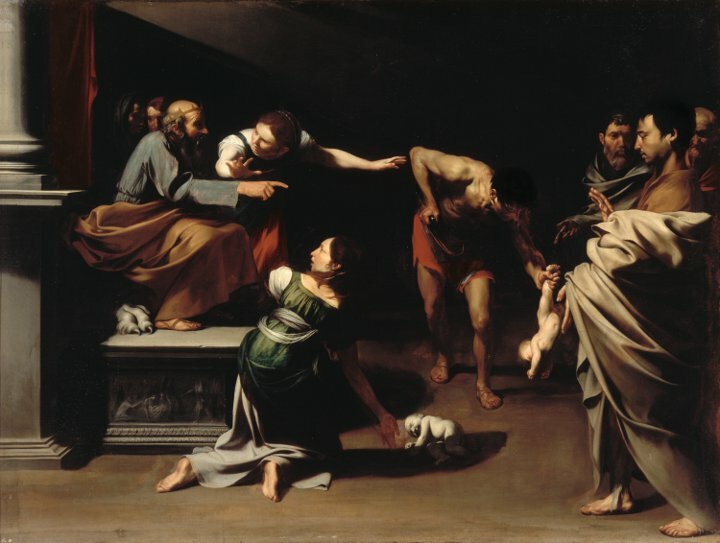 It juxtaposes several of the few known paintings that have traditionally been attributed to Ribera during the earliest period of his career with other important works previously considered to be by the so-called “Master of the Judgment of Solomon”. This section includes a number of the outstanding canvases from the “Cosida Apostle Series”, loaned from the Longhi Foundation. Shown alongside them are three of the “Five Senses”, which is a crucial series for a reconstruction of the young Ribera’s activities and in which the artist’s technique and approach already reveals his self-confidence and desire for originality. Compositionally, the Apostle paintings are particularly rigorous, with extensive backgrounds that play a key role in the creation of a sense of dramatic climax. In the “Senses”, the figures fill the pictorial space, while their actions are depicted in a highly naturalistic manner. These characteristics explain why for many years the two series were attributed to different artists. 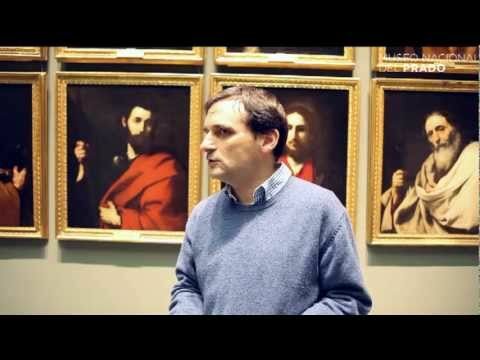 Following this section is another group of works assembled around the idea of “Ribera in Rome: history paintings”. In Rome, Ribera focused on the genre of history painting, creating complex compositions with several figures that depict episodes from the great narrative repertoires such as the Bible. This genre provoked a debate among the champions and detractors of naturalism as the latter maintained that it was not an appropriate style for compositions involving a wide range of actions and emotions. 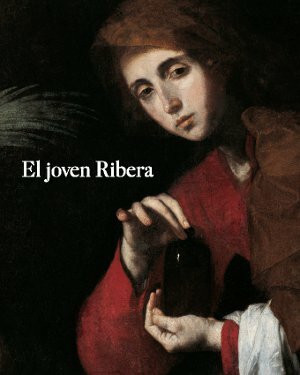 Ribera, a young artist anxious for recognition, rose to the challenge with horizontal-format works that include large-scale figures and in which the naturalistic language became a highly effective vehicle for the depiction of credible actions and emotions and for establishing relations between the figures. Following this section, the exhibition includes another unique group of works under the heading “From Rome to Naples: half-length figures”. During his years in Rome and his early period in Naples, Ribera also depicted numerous single figures or pairs, which are generally depicted half-length and in front of a table. Most of them are New Testament saints. In works of this type the artist deployed his precise, effective style to depict realistic human types and compositions in which the figure is located in the foreground and occupies almost all the pictorial space. 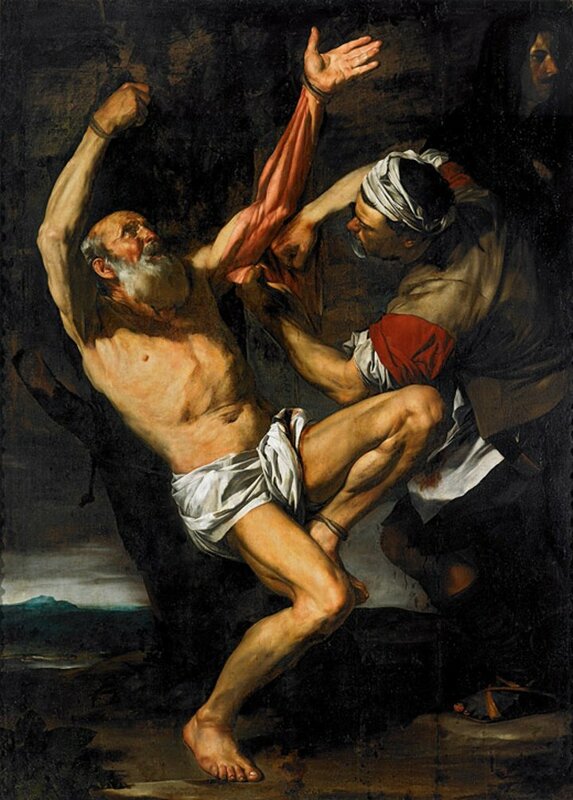 The result is a series of powerful, rigorous images that would be the starting-point for future innovations, making Ribera’s artistic vocabulary and subject-matter among the most unique and distinctive of its day. 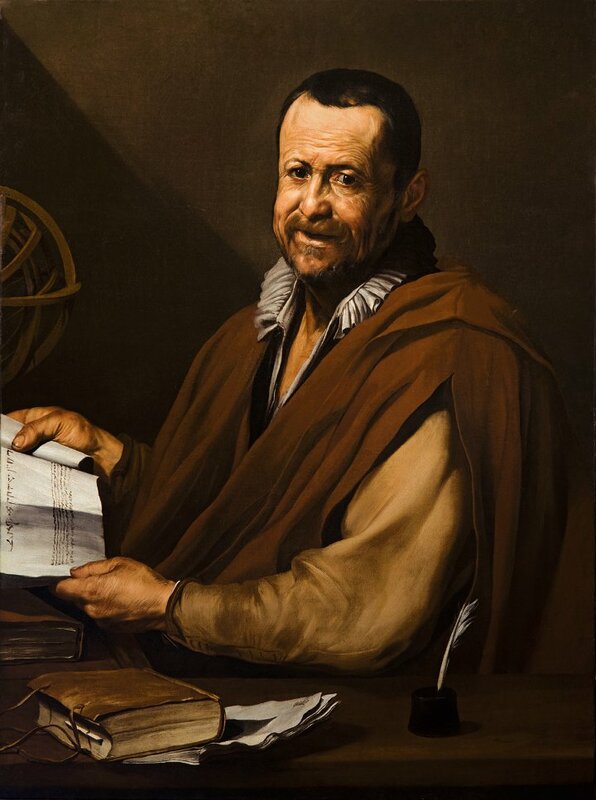 During this period he began to depict philosophers, such as Origen and Democritus, using pictorial formats similar to those of his saints, although these early versions do not involve the association between poverty and philosophy to be found in later paintings of such figures. The exhibition ends with the section “Ribera in Naples”, which includes works from the artist’s early period in that city. Ribera arrived in Naples in 1616 and remained there until his death in 1652. The transformation evident in his art from this point onwards can be related to the requirements of a different type of client, resulting in a greater emphasis on religious subjects. While the narrative paintings that the artist had produced in Rome were characterised by their horizontal formats, large number of figures and intent to be seen as “history” paintings, during Ribera’s first decade in Naples he primarily produced vertical-format works on religious subjects, in particular scenes related to the Passion. 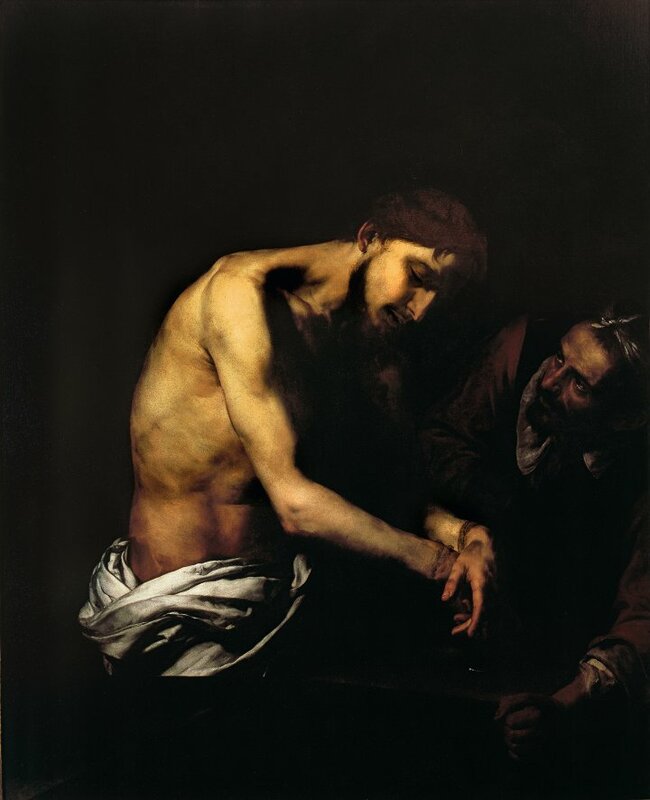 These paintings frequently emphasise the contrast between the naked, suffering body of Christ and the mockery or cruelty of the surrounding crowd, following a widespread tradition that had already been used by Caravaggio. The collegiate church of Osuna has five paintings by Ribera depicting Saint Sebastian, The penitent Saint Peter,Saint Jerome and the Angel of the Last Judgment, The Martyrdom of Saint Bartholomew, and The Crucifixion. The first four were executed between 1617 and 1619 for Pedro Téllez Girón, 3rd Duke of Osuna and Viceroy of Naples between 1616 and 1620. The Crucifixion was commissioned by the Duchess of Osuna and was completed in 1618. All five entered the church prior to April 1627. Their number, dimensions and the variety of physical types and compositional solutions to be seen in them make them one of the most important groups within Ribera’s early period.